A mismatched team of seven hit the road in an Econoline church van on a mission to find a new pastor. They don’t agree on much other than the stops at Hardee’s for coffee and a biscuit. But they stick to the call, trying to slip undetected into worship services across the Southeast–all in hopes of stealing a preacher for their congregation. Each member is wrestling to balance their own busy life and personal struggles. And they’re trying to keep their issues to themselves. Forced to spend countless hours together, these very different personalities from different generations begin to bond. And their lives are profoundly changed as they love and support each other through the difficulties in each of their lives. 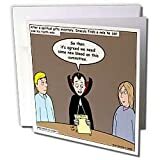 Dracula on the Church Outreach Committee Greeting Card is measuring 5.5w x 5.5h. 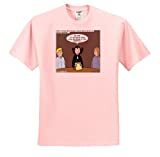 Greeting Cards are sold in sets of 6 or 12. 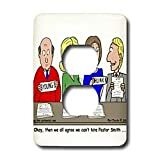 Give these fun cards to your friends and family as gift cards, thank you notes, invitations or for any other occasion. 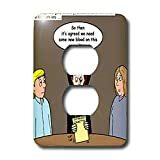 Greeting Cards are blank inside and come with white envelopes. 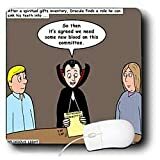 Dracula on the Church Outreach Committee Mouse Pad is measuring 8w x 8h x .25d, soft commercial quality high resolution product. The image is permanent and becomes part of the mouse pad surface. Our transfer method produces professional matte finish with Premium Quality and Superior image resolution. 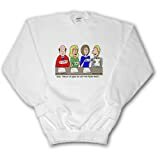 Church Search Committee Evaluating Ministers Sweatshirt is commercial quality 9.3-ounce high resolution heat transfers garment. 50-50 cotton-poly NuBlend fleece, fully coverseamed, ribbed collar, cuffs and waistband with spandex, set-in sleeves. Our image transfer produces professional matte finish with Premium Quality and Superior image resolution. Colors do not bleed and the image is sharp and crisp.